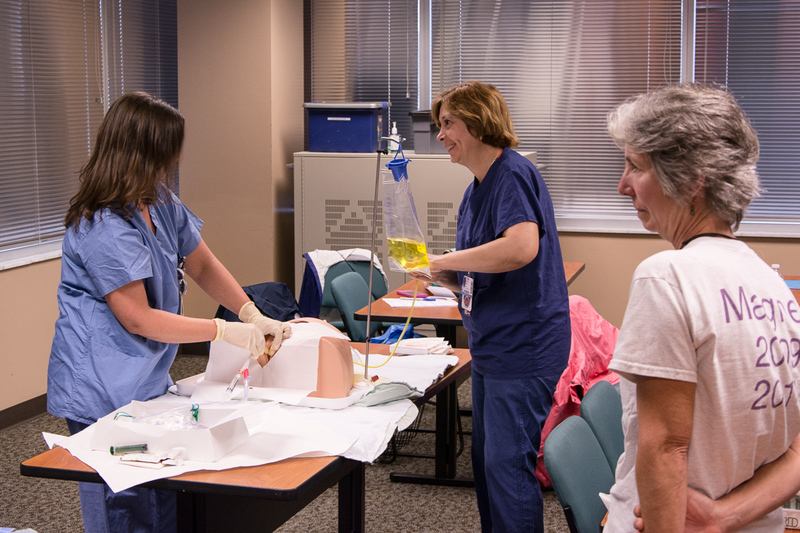 In an effort to address and improve patient safety, WISER has recently facilitated a system wide roll out of the Foley Catheterization Insertion (Foley Cath In) course, which was originally designed by Giselle Hamad, MD, Ave Perrino MSN, Anita Soltez MSN, and Dawn Wise BSN, RN. 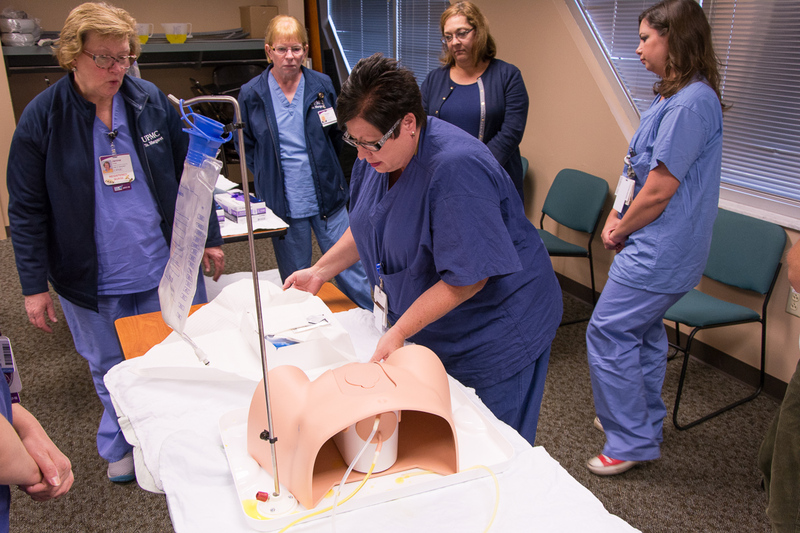 Under the guidance of lead instructor, Dawn Wise, WISER supports a train-the-trainers program to teach instructors how to teach the standardized Foley catheterization curriculum, including the onsite components. After the training, these instructors are now able to deploy the Foley catheterization curriculum at their hospital sites. WISER was excited to host a training session for clinical educators from St. Margret�s on October 11th! There was a lot of great discussion and interaction during this train-the-trainers session! WISER is excited to play a critical role in providing high quality education throughout the UPMC Health System.